1911 – At Brooklands, Hilda Hewlett became the first woman in the UK to earn a pilot’s licence when she received certificate No.122 from the Royal Aero Club. 1913 – Birth of Bruno Dilley, German World War II dive bomber pilot and high-ranking officer post-World War II; he later performs the first bombing raid of WWII. 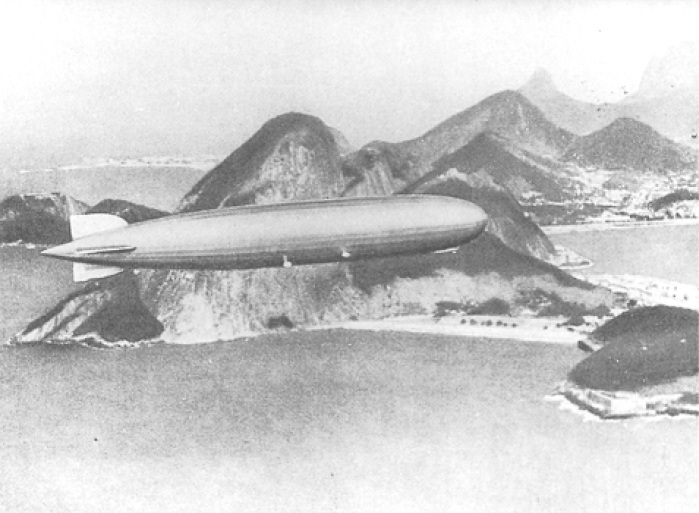 1929 – The German airship LZ 127 “Graf Zeppelin” (shown) completes its global circumnavigation at Lakehurst, N.J.
1948 – First flight of the Piaggio P.136, Italian twin-engine amphibian flying-boat, with an all-metal hull, pusher propellers, a gull wing, and retractable landing gear. 1975 – Death of Angel María Zuloaga, early Argentinian aviation pioneer and record setter. 1996 – Vnukovo Airlines Flight 2801, a Tupolev Tu-154M, crashes into a mountain on Spitsbergen, Norway, killing 141 people.